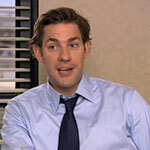 Jim Halpert is the charismatic, wise-cracking, prankster of Dunder Mifflin Scranton. He is the rival and reluctant friend of fellow salesman, Dwight Schrute. Additionally, he is best friends with his (not-so-secret) romantic interest of the office: receptionist Pam Beesly. Jim’s wardrobe ranges from business casual to precision professional. Depending upon his position within the company, he adjusts his level of professionalism accordingly. Were it your goal to create a screen accurate representation of the fashion and wardrobe styles of Jim Halpert from The Office, Please continue ahead for our guide focusing on this subject. Jim Halpert has been known to model a sporting ball cap or other type of hat from time to time. ​Jim’s decorative headgear has even reached into the holiday realm with a red and white Santa Claus plush cap. In order to complete an accurate Jim Halpert cosplay, one of these hats could add an extra bit of authenticity. 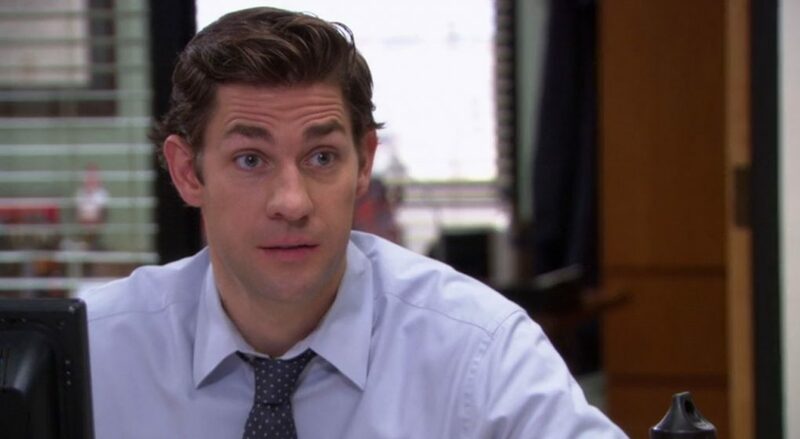 Jim Halpert has been noted to wear a number of different styles, colors and other distinctions of jackets throughout the course of the series. ​Jim’s most recognizable jackets include his charcoal colored top coat as well as an array of differently colored blazers and sport coats. 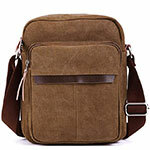 With colors including but not limited to: navy blue, brown, gray and black. When it comes to the unofficial uniform of Jim Halpert, his solid button down dress shirts define his style throughout his career with Dunder Mifflin and beyond. This “Fun-Run” t-shirt is an exact match to the t-shirts worn by Jim Halpert and the rest of the Dunder Mifflin Scranton gang. It’s also officially licensed. The styles and colors of Jim’s slacks doesn’t change frequently, if ever, throughout the course of the show’s entirety. ​Much like his jackets and neckties, Jim’s prefers his pants in (mostly) the same color palette. Ranging from navy blue and charcoal gray to brown and black. Jim’s shoes are fairly basic and not too flashy in nature. He has been noted to wear black, brown and tan dress shoes as part of his usual work apparel. ​While he is engaging in physical activity (such as the “Fun-Run” for example), he is noted to have worn gray colored Puma tennis shoes (I believe the exact style isn't available anymore). The articles of clothing worn by Jim on The Office are not the only items used to accentuate his character, personality and appearance. Jim is also known to make use of several items beyond that semi-frequently. ​For instance, Jim is known to wear a wristwatch regularly, and also he has been noted to carry a brown shoulder bag, which I can only assume contains his personal possessions or a Macgyver-esque prank pulling essentials kit. Here are some of the items we felt would add the finishing touches to any Jim Halpert costume. Jim’s wristwatch has been identified as the “Swiss Army Men’s Infantry.” Unfortunately that particular model has gone out of production.